There’s a new version of the Google Keyboard app rolling out for Android devices this week. As you might expect, it brings about the Material Design look and feel that’s found in Android 5.0 Lollipop and a host of popular Google apps. And, because Google is so awesome, we get two versions of the keyboard to play with: Material Light and Material Dark. It’s worth pointing out, however, that simply updating the app to the latest release is not all that’s necessary to get the new look. Here’s a quick and easy way to get your Google Keyboard to feature the Material Design aesthetics. Another quick way to get into the new look is to change the setting directly within the keyboard. 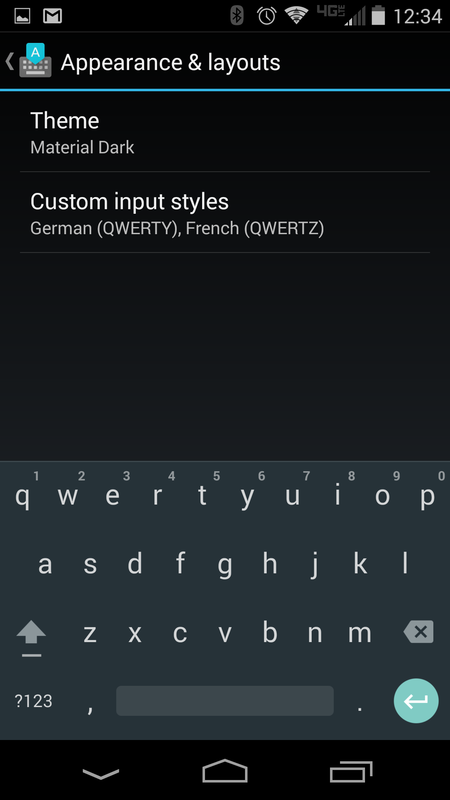 If you’re already using Google Keyboard as your default input then you can skip a number steps.